Miami-based Victory Cruise Lines, the most recent specialist in luxury cruises on the Great Lakes and St Lawrence River, today welcomed the inaugural voyage of its new vessel, the 202-berth Victory II, to Detroit. Not quite completed in 2001, when parent company American Classic Voyages closed, she was to have been completed as the Cape Cod Light, the second ship for Delta Queen Coastal Voyages. In the fourteen years since completion she had spent much of her time either laid up in fresh water or employed as an accommodation ship in UK and European waters. She was finally completed as a fully-fledged cruise ship this spring in Sweden. The most noticeable change to the ship is the glass enclosure that now surrounds the former Hot Rock Grill on her stern. Before departure, the Port of Montreal awarded a commemorative plaque to Capt Giorgios Theodorou, who earlier in his career spent many years with Celebrity Cruises and Azamara Club Cruises, as well as having been master of sister ship Saint Laurent (built as Cape May Light and now Victory I) for Haimark in 2015. With its two ships, Victory Cruise Lines offers itineraries that lets its passengers discover the Great Lakes and the St Lawrence, with routes stretching from Halifax to Thunder Bay. The Port of Montreal is also a major component on Victory’s route between Montreal and Detroit and Halifax and Detroit. 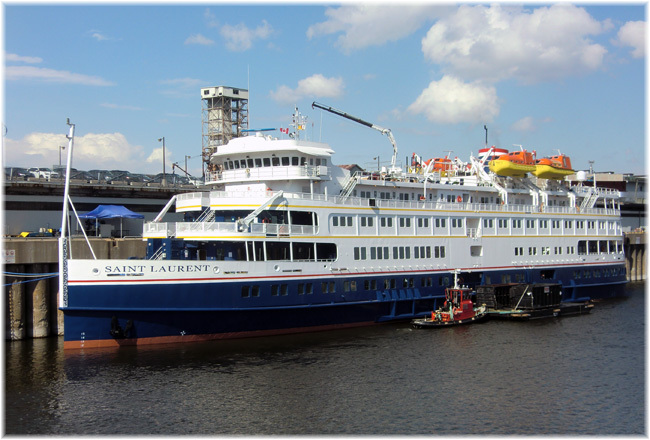 The Victory II embarked passengers on July 27 and departed Montreal on July 28 to sail north to visit Quebec before continuing to the St Lawrence Seaway, Toronto, the Welland Canal (for Niagara Falls) and Cleveland, and reached Detroit this morning. With the Victory I and Victory II both now in operation, this marks the first time in over fifty years that any Great Lakes cruise operator has been able to offer two ships at the same time. Great Lakes cruising has been exclusively a one-ship operation in the past. The last time one fleet operated two ships was 1965, when Canadian Pacific Great Lakes Steamships operated the 288-berth Clyde-built sister ships Assiniboia and Keewatin between Port McNicoll on Georgian Bay, Sault Ste Marie and what is now Thunder Bay. 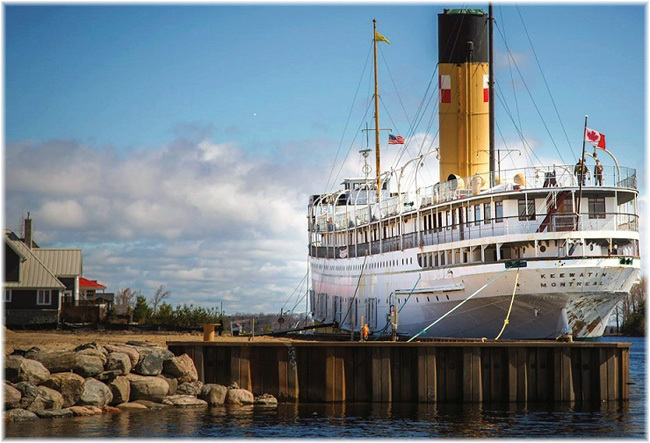 The Keewatin is now a museum ship at Port McNicoll. 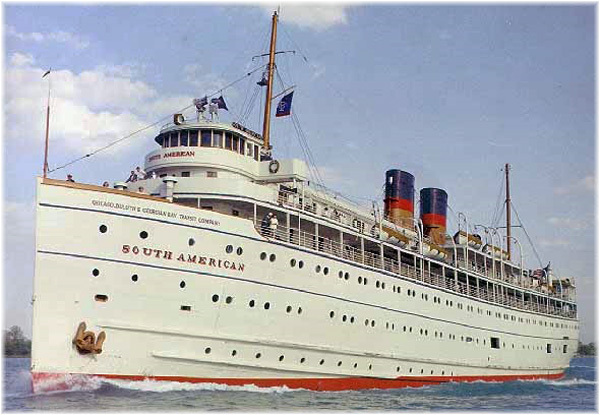 On the US side, it was as long ago as 1962 that the Georgian Bay Line operated two ships, the 428-berth North American and South American, the latter of which survived until 1967, when she cruised between Detroit and Montreal to the Expo’ 67 World’s Fair. 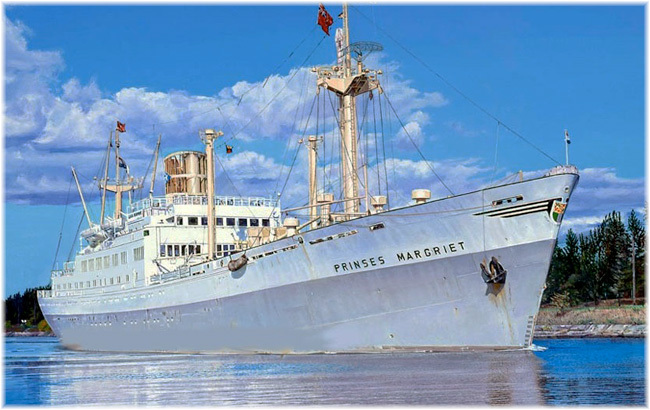 Apart from these operations, from the opening of the St Lawrence Seaway, in 1959 until 1963, the Netherlands-based Oranje Line offered cruises on three passenger-cargo ships carrying brtween 60 and 115 passengers between Montreal and Chicago. These voyages were offered as part of their overseas voyages between the Great Lakes and Europe. The Victory I is offering six Toronto-Chicago cruises this year and will offer ten such cruises in 2019. In the spring and autumn the ships will offer Canada/New England cruises between Boston and Halifax. And in the winter they will offer departures from Miami to Cuba and Miami to the Yucatan in Mexico. Victory Cruise Lines fares include all food, alcoholic beverages (wine, beer and cocktails) and shore excursions. Fred. 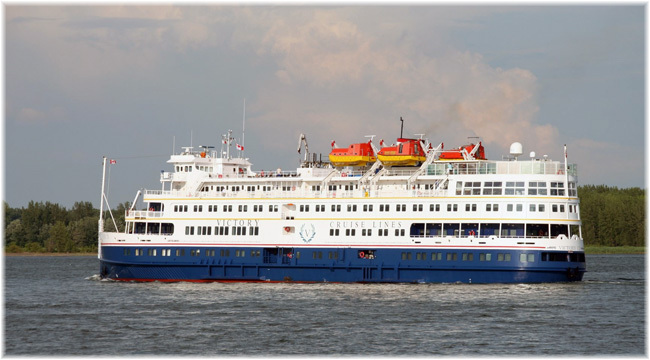 Olsen Travel Ltd, operating as Fred.\Holidays, has been appointed as UK general sales agent for Victory Cruise Lines and Sterling fares plus UK flights are now available through travel agents in the UK. 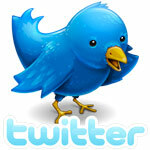 Previous story Will giant cruise ships destroy the wonders their passengers claim to love?